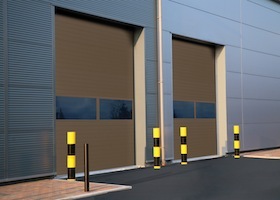 With a proven track record for thermal efficiency and extreme durability, TriCore™ is simply the best door you can specify. 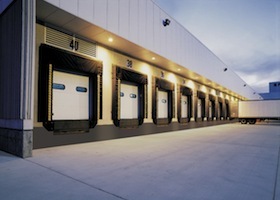 With expanded polystyrene insulation thermally bonded between two steel skins, TriCore doors have an exceptional R-value of 16.05, and its superior construction has made it the most specified door on the market. 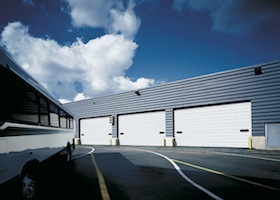 Our revolutionary TriCore door was the first 3" thick commercial thermal-break door ever offered. 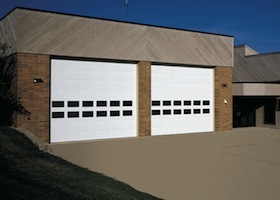 This is a durable, energy-efficient sectional door for maximum thermal protection. 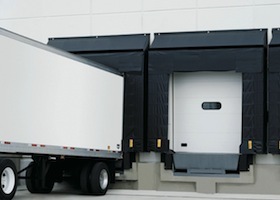 Our exclusive process fills 100% of the door's interior space with energy-saving polyurethane foam insulation to deliver exceptional R-values. 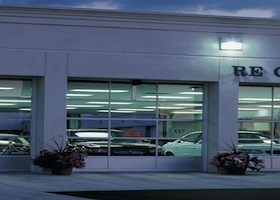 This process also provides superior foam density for excellent structural integrity. 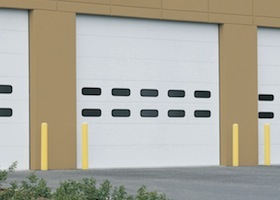 Rugged SteelForm™ doors are ideal for commercial and industrial applications. 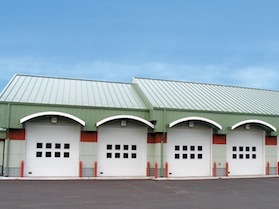 Door sections are a full 2" thick and made of hot-dipped galvanized steel for maximum rust resistance. 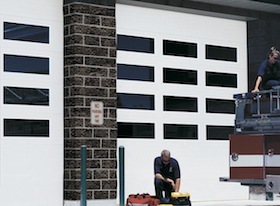 AlumaView™ doors have long been the standard fixture for facilities that require dependable, attractive doors that offer maximum visibility. 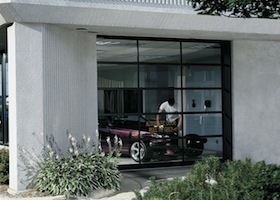 With an anodized-finished extruded aluminum frame, AlumaView door sections are a full 1-3/4" or 2" thick.